The wrong people keep trying to get hold of Lockwood these days. They beep his pager and his cell phone, leave messages on his voice mail and on Perla’s answering machine. Suddenly, he has a passel of writing assignments. No time, he says. I’m writing the story of my life. 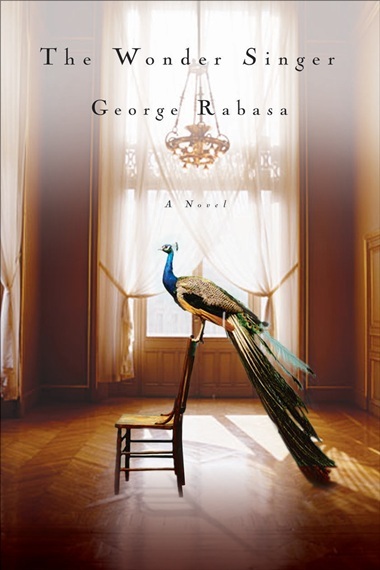 George Rabasa has written Glass Houses, a collection of stories that received The Writer’s Voice Capricorn Award for Excellence in Fiction and the Minnesota Book Award for Short Stories. His novel, Floating Kingdom received the Minnesota Book Award for Fiction. Another novel, The Cleansing, was named a Book Sense Notable. His short fiction has appeared in various literary magazines, such as Story Quarterly, Glimmer Train, The MacGuffin, South Carolina Quarterly, Hayden’s Ferry, American Literary Review, and in several anthologies. Rabasa was born in Maine, raised in Mexico, and now lives in Minnesota.